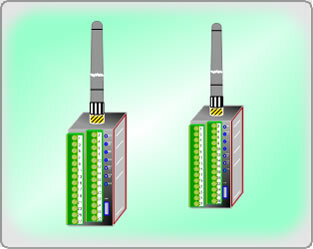 Control schemes today include a multiplicity of local and remote interrelated signals, sophisticated automatic and manual control algorithms, multi-site communications, and flexible/intuitive operator interface. The INTEGRATED CONTROL STATION's unique structure facilitates the design, installation, and operation of complex customized Monitoring and Control systems. The concept encompasses fiscal, engineering, installation, and operational viewpoints in solutions to Control and Monitoring requisites. There are no hidden hardware or software costs, regardless of desired revisions to the instrumentation and control scheme. Custom Multi-Color Graphics: The ICS Front Panel graphics can be changed in the field with no cost to you. Control Algorithms: A "Knowledge Map" provides clear and simple documentation of the control scheme. Inherent Wiring Diagram: An I/O signal-wiring panel coordinates control cable conductor "alias" with instrumentation signal terminology. This allows your computer to make cost effective changes to control schemes and perform system diagnostics. Set-points and Calibration: Alterations to Set-points, PID constants, formulas, display scaling in engineering units, etc. 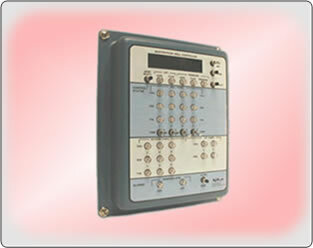 are made in the field with front panel controls and digital displays, or remotely via a communications Modem. Mode Changes: (SCADA, local control, manual- automatic, interlocks, etc.) Modes are programmable and selectable using the front panel. Audio or visual indicators verify your settings. Data Logging: An optional auxiliary assembly (EDL) allows incrementally increasing 128K RAM to 500K bytes. Pager and Auto-Dialer Interface: The ICS when used with the General Purpose Modem (GPM) adds auto-dialer functions for remote alarm notification both verbally and to your "beeper". Also remotely check system status from any touch-tone telephone. Internet Access: Use the Universal WEB Station to connect your system to your Intranet or the Internet. Remote Diagnostics: The ICS diagnostics software files include programs with "zero sum logic" and relay ladder logic schemes to identify wiring errors and equipment malfunctions during "start-up" and operating conditions. The following table is a compilation of a few of the many applications that the AGM Integrated Control Station (ICS) can be applied to. If you have an application that you are uncertain as to whether or not the Integrated Control Station is the correct product to apply, contact AGM's Technical Support Team and they will work with you to insure that the correct product is selected for your design requirements. 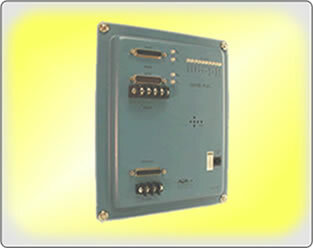 The Integrated Control Station may be used as a stand-alone controller or be integrated with other AGM and manufacturers products. The model number is TA 5300-1 ot TA-5300-2. Refer to following common approaches to ordering. 1. Call AGM's Domain Engineering staff. Verbally describe your general criteria. You will receive a "Knowledge Map" and a "Front Panel Layout" drawing with a Proposal, "PRO", number. This number will be used for reference until your order is placed. At that time a Sales Order, "SO number", will be assigned for archival purposes and specific control of the ICS equipment. 2. Use the "Integrated Control Station (ICS) Planning Manual" to describe your general criteria. Domain Engineering will respond accordingly. A completely programmed ICS enclosure with a customized Operator Interface Panel -- "System Start-up Ready"